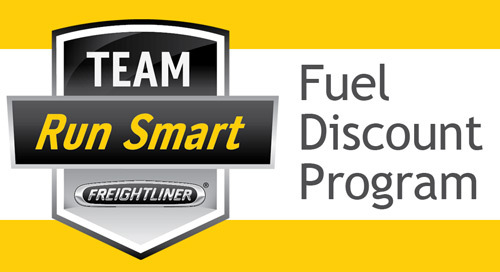 Team Run Smart members are invited to join the Fuel Discount Program providing savings of $.06 off the retail cash price at one of the 3 largest national travel stops. With this program, members have access to more than 5,000 fuel stations nationwide. The program is flexible and provides a big fuel savings opportunity to Team Run Smart members. Designed to meet the needs of today’s small to medium sized companies who need scale and volume to secure significant fuel discounts, the program is flexible, beneficial to the bottom line, and customer-centric. In fact, the program provides a dedicated customer service team who reachable with any questions or concerns when needed. Enrollment is an easy, two step process. First, members need just a few minutes to complete the pre-application form. Second, a Fuel Discount Program team member will call the prospective member and have a short conversation to explain the program and its benefits. If you have questions regarding the program, please feel free to reach out to Alicia at aallen@profittools.net or 603-659-3822. Visit the Team Run Smart Member Deals page for more information on the Fuel Discount Program and be sure to tell your friends about the potential for big savings with the Team Run Smart Fuel Discount Program. Have additional questions? Click here for answers. Possibly you aren't getting a response because it's a fairly old post, 2014, so it's not high on the radar. However, Sean Bryant did post in 2015 with the following: You can call 603-659-3822 and ask for Alicia. She will be able to give you all the details. CAN THIS DISCOUNT BE USED ALONG WITH COMPANY FUEL DISCOUNTS ?. I would also like to know which Truck Stops the card could be used. I would rather not have to guess before I apply for the card. Joseph & 1upexpressfreight - You can call 603-659-3822 and ask for Alicia. She will be able to give you all the details. I already get discounts through the carrier I'm leased to. Will this card interfere with that, or would it provide an additional discount? it would be helpful to know which 3 truck stops this discount would apply in! Been looking for fuel discount card. Will for sure check this out.